Full Text Made available under a CC BY-NC-ND 4.0 license. with the support of the University of Oslo and the University of Hertfordshire. Kjetil Fallan is Professor of Design History at the University of Oslo. He is the author of Designing Modern Norway: A History of Design Discourse and Design History: Understanding Theory and Method, editor of Scandinavian Design: Alternative Histories, and co-editor, with Grace Lees-Maffei, of Made in Italy: Rethinking a Century of Italian Design. Grace Lees-Maffei is Professor of Design History at the University of Hertfordshire and Programme Director for DHeritage, the Professional Doctorate in Heritage. She is author of Design at Home: Domestic Advice Literature in the UK and the US since 1945, editor of Writing Design: Words and Objects and Iconic Designs: 50 Stories about 50 Things, co-editor with Kjetil Fallan of Made in Italy: Rethinking a Century of Italian Design, and co-editor with Rebecca Houze, of The Design History Reader. 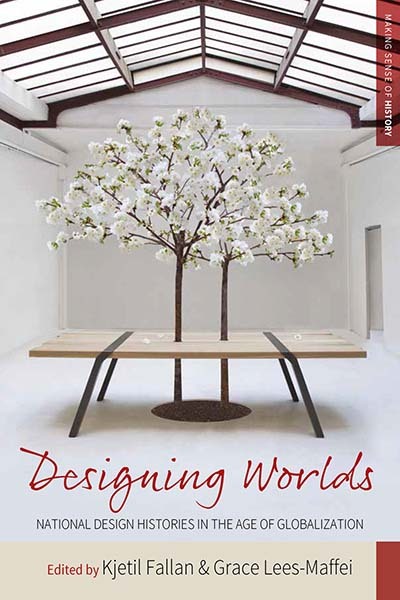 Designing Worlds Edited by Kjetil Fallan and Grace Lees-Maffei is available open access under a Creative Commons Attribution-NonCommercial-NoDerivatives 4.0 International License (CC BY-NC-ND 4.0). with the support of the University of Oslo and the University of Hertfordshire. Chapter 2. Does Southern African Design History Exist?